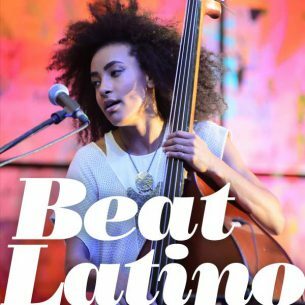 Beat Latino with Catalina Maria Johnson » From the Dominican Republic Jazz Fest, with love! Beat Latino goes to the Dominican Republic this week! It was wonderful to experience the 20th edition of the Dominican Republic Jazz Fest, especially because of its magnificent programming – all women artists! The DRJF 2016 presented a stellar array of international jazz figures including Esperanza Spalding, Tia Fuller, Patricia Zárate, Ingrid Jensen, Linda Oh and more, as well as a iconic exponents of Dominican music such as Enerolisa Nuñez and La India Canela. We also had a chance to chat with Patricia Zarate, who is a master music therapist as well as saxophonist and composter, and the delightful Enerolisa Nuñez who explained what Dominican salve is all about. Enjoy! Featured photo: Esperanza Spalding at the Dominican Republic Jazz Fest 2016. Photo by Gabriel Rodes.